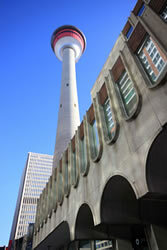 Tower Chiropractic and Massage has been a proud part of the Downtown Calgary Tower Community at Palliser Square for over 25 years now. With our convenient location in Palliser Square One (just east of the Calgary Tower) and flexible appointment scheduling, one of our strongest advantages is the ability (for any of our clients who are experiencing pain or discomfort) to easily come to our office during their busy workday and to get the relief that they need in order to be able to function effectively (you can call us at a moments notice!). At Tower Chiropractic, all of us feel very fortunate and lucky enough to have treated a fantastic Clientele of patients over the years and we are sincerely looking forward to continuing this tradition of care for many years to come. The Massage team brings years of experience, a caring touch and a high level of expertise in “hands-on” treatment to the clinic. Regular massage therapy treatments can help relieve the muscular pain and body stiffness associated with injury, accident, illness, or the stress of daily living. Please visit RateMDs to see what some of our valued clients had to say about Tower Chiropractic, Massage & Acupuncture. We look forward to meeting and helping you soon! 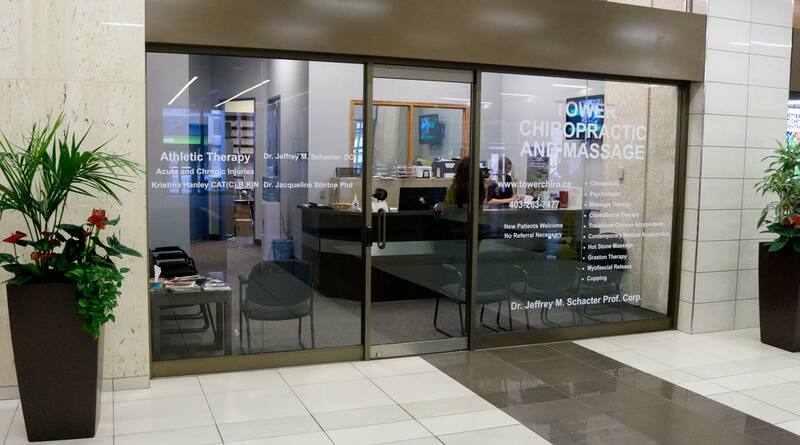 The entire team at Tower Chiropractic and Massage are looking forward to providing you with the highest caliber of care in Calgary’s Downtown Core.